Is a CQRS Command = GOF Command? Oh the irony. The DDD community advocates for unambiguous language. And yet even our own terms are heavily overloaded. Whether it’s on stackoverflow like here or on the DDD/CQRS google group like here. Codeship CTO Florian Motlik​ wrote a followup to Martin Fowler's recent article about MicroServices. He mentions that you need to evolve your monolithic application to a monolithic core microservice to a fully microservice architecture and that monoliths as well, not only microservices, add operational overhead over time. What is Technical Debt? According to developer Nina Zakharenko’s session at PyCon 2015 Montreal 2015 last week, it’s the result of a series of bad decisions that force a developer to use more resources to accomplish less. So how do you address it and combat it? Tori Wieldt has the breakdown. One of my favorite bloggers had an article last month that resulted in a rather interesting conclusion; that the ultimate programming language is a language without a lot of features most developers take for granted. As I read the article I started to wonder how much was actually cynical since a language without all the features described at first feel ridiculous. However if you look at every one of the language features discussed in isolation there is a good argument for not using each one of the features so why not do without all of them? Node.js is available for many different platforms, but Windows on ARM is not one of them. To address this gap, Microsoft has created its own version of version of Node.js which is designed to run on Windows 10 and support the ARM architecture. I've had the opportunity to attend a number of DevOps Days events. These are informal, community-based conferences devoted to a critical topic: how to get applications into production more quickly. DevOps Days speakers are always inspirational as they outline the immense challenges they faced and what they’ve done to improve things -- and the improvements are often dramatic. A common refrain in these presentations is how they moved to standardized resources like commonly configured virtual machines to allow automation -- often described as “moving away from snowflakes.” In other words, a necessary step in achieving automation is removing variance to allow common configuration automation. We got a lot of great feedback from the community so far! More and more people use this module and they are always thankful for it and the awesome support they get. I just want to make sure that you guys know: All this wouldn’t have been possible without these great contributors and everybody who comes with new ideas and feature requests! So THANK YOU! Zoom.js is jQuery plugin for image zoom. It’s the best way to zoom an image. It transition/zooms in really cleanly. In this webinar recording we show you how to enhance your productivity while developing in C and C++ with JetBrains new cross-platform C/C++ IDE called CLion. This article deals with the implementation and empirical testing of a method to achieve practical perfect hashing. If you’re 40 or older, you’ve probably seen cases where younger developers were picked over older ones. It happened to me once while recruiting a programmer: After all the interviews, I’d narrowed the candidates down to a 28-year-old and a 60-year-old. Both were very good, and I thought the 60-year-old was better, but the senior manager tasked with the final selection picked the younger developer. When Security Conflicts With UX, Who Wins? dad.js is a simple and easy-to-use jQuery plugin which enables drag and drop functionality on a group of DOM elements with just one JS call. Without requiring the jQuery UI library and compatible with Bootstrap grid layout. 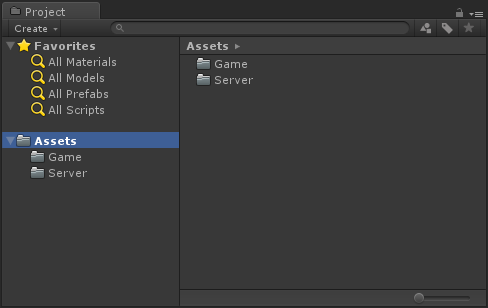 This article will cover the basics of network programming using Network View in Unity 3D. We will be creating an Authoritative Server based networking environment showcasing the basics functions of network programming using Unity 3D and C#. Whenever I post a job request for a Software Engineer position, applications start trickling in really quick. What bothers me is that several applicants will invariably have no idea of what "programming" means.